Remember the auction for Restore Alabama tornado relief a while back? I won two VERY cool photo frames during that auction from local artists here in Birmingham. 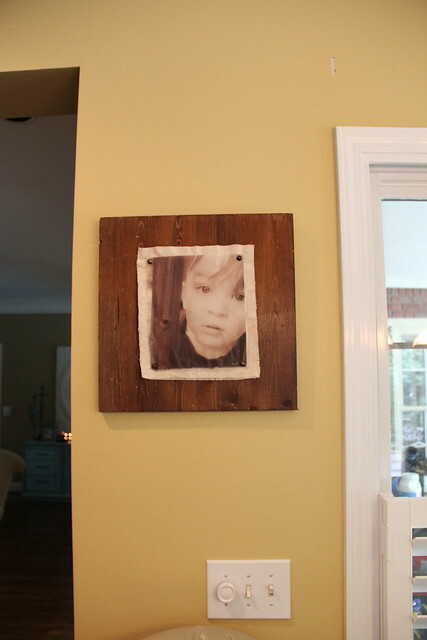 One of them is an encaustic photo mounted on fabric and a wooden board from Jamie at Home and Soul Redemption. It is FABULOUS. Just amazing. I chose this picture of Garrett that I made when I got my first DSLR camera back in 2009. I love the sweet innocence of his face and eyes in this photo. He was a little feller when this picture was taken, just about 20 months old. 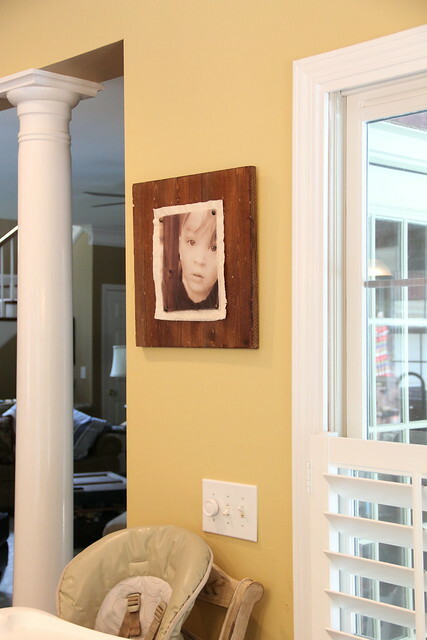 The encaustic photo mounting process is so unique and just beautiful. 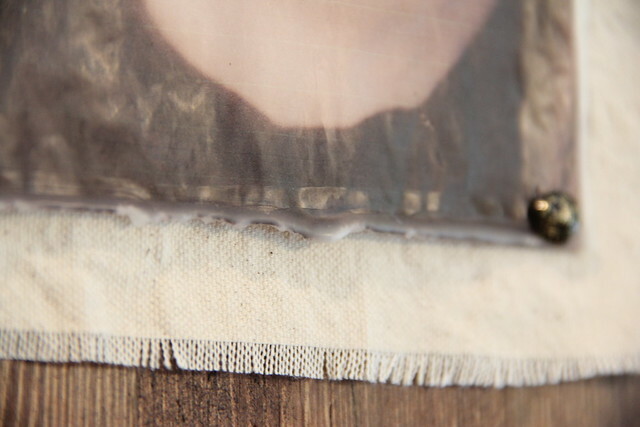 I honestly have no idea how she does it, but it’s like a sheet of vellum that has been dipped in wax and then mounted onto the board with a piece of cloth behind it that acts as a frame around the photo. And check out these super cool nailheads that she used to hammer the picture to the wood. Love ’em. This frame is the kind of stuff that gets passed down to the grandkids. It’s a true work of art, and I’m SO excited to have it hanging in my kitchen right now! Jamie’s work is just incredible, and I’m so blessed and honored to have this special piece in my home. And the best part? My money went straight to benefit the Christian Service Mission for tornado relief. It’s a win / win! 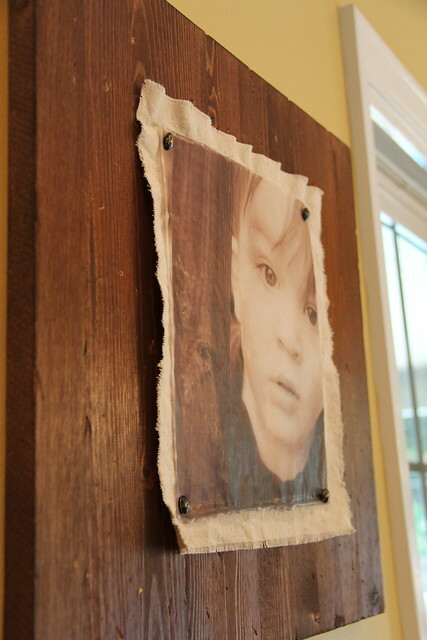 If you would like to contact Jamie about purchasing your own encaustic photo, check out her etsy store and her blog. She also sells these frames in the Alabama Goods store in Homewood, so be sure to swing by there and check it out if you haven’t already. It’s in the same parking lot as At Home, Seibels and the new Penzey’s Spices right in downtown Homewood. Thank you Beth, I’m so glad you liked it!! Love it! I’ll be ordering one! 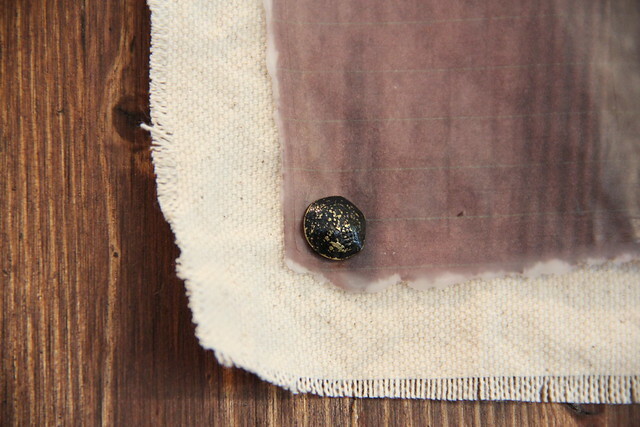 I would love love love love LOVE to try this myself…have you ever tried to DIY the wax technique?